Born at Birmingham, England on 12 April 1887, he emigrated to Canada in 1905, where he attended the Ontario Veterinary College. After graduation, he accepted a position with the federal government’s veterinary service in Winnipeg. In 1914, while travelling by train across Canada as a member of the Canadian forces heading to France, he bought a small female bear cub which he named Winnie after his adoptive home town. He left the bear at the London Zoo when his brigade was mobilized to the French battlefields, where it was seen by A. A. Milne, the British writer who subsequently used it as the basis for the character Winnie The Pooh in a character in a book. 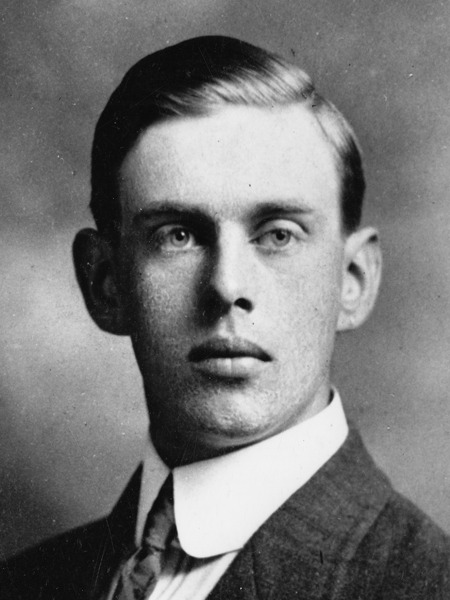 Colebourn returned to Winnipeg after the First World War, where he worked as a veterinarian, retiring in May 1945. He died at his Winnipeg home, 600 Corydon Avenue, on 24 September 1947 and was buried in Brookside Cemetery. “Veterinarian dies, aged 62,” Winnipeg Free Press, 26 September 1947, page 4.